Following on from recent expansions to our other data centres, our data centre in the Netherlands is next in line for the upgrade to a three-way server replication storage model. This upgrade brings with it a number of great features, such as improved security, enhanced protection, and data storage you can rely on. The three-way server replication storage model stores data on three servers, meaning if one crashes, there are still two more servers online, so your virtual private server is uninterrupted. Alongside this upgrade, our support is available 24 hours a day, seven days a week. We can ensure your VPS is up and running swiftly because we know just how important your time is. The Amsterdam datacentre features top-of-the-range Intel Xeon Processor E5-2699 v4 central processing units – the top product from the E5-series. With a base speed of 2.20 GHz and a max turbo frequency of 3.60 GHz, these processors have all the power you could ask for. They feature 145W Thermal Design Power, a 55MB SmartCache, a 9.6 GT/s QPI Bus Speed and 44 thread cores. Although our upgrade means a small amount of downtime, as soon as you are back online, the additional power and performance of your VPS will be noticeable. Thanks to our powerful processors, we offer some of the fastest speeds in the Netherlands, meaning your connection will be super fast, no matter the traffic. Building on the success of our other data centre upgrades, our Amsterdam data centre will also feature 40Gbit network performance. Our network speeds allow us to be one of the fastest data centres in the Netherlands and provide a stable and high performing VPS service. 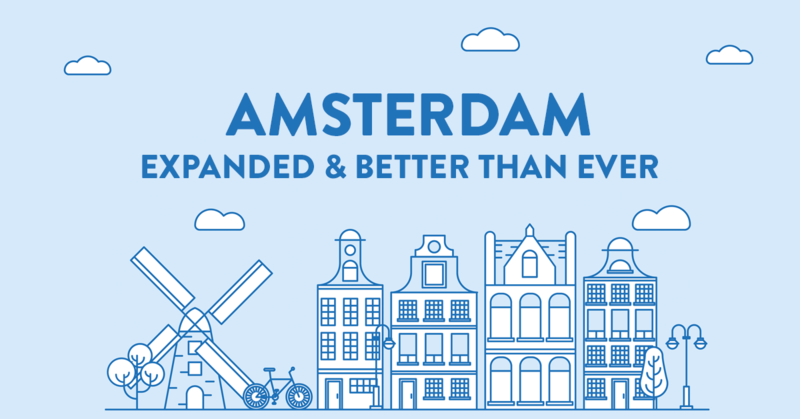 We are building our data centres for the future, so the Amsterdam data centre has enough network speed for today’s users as well as the users of tomorrow, who are more likely to tap into the cloud to store and stream. The Netherlands upgrade will move the servers across to using 100% SSD for storage. This provides a quicker and more responsive server. We are also installing our three-way server replication system so that all of our customers can have the most reliable and safe servers. As three of our servers store your data, they are far more impervious to the vulnerabilities that RAID servers face. This is because RAID systems store information on just one server, so if that server fails for any reason, there will be downtime and potential loss of data. By having three servers storing data, if one, or even two, go down, your server doesn’t have to. It is the combination of our systems and our hardware that means that our clients can reach an almost 100% uptime on their servers and all of our VPSs are stable and high-performing. We also ensure that technical support is available whenever you may need it, so you can have peace of mind with your VPS. As with all of our customers, we have a range of bespoke online tools to help you manage your VPS and increase your productivity. Once you choose to upgrade, you will need to move your account across to the new service page in order to access the powerful new range of features. We have designed these features and tools to be easy-to-use, integrative and user-focused. Once your upgrade is complete, you will have full access to the performance and speed increases from our data centre upgrade. Our plans start at just $5 per month and give you access to our powerful high-performance servers. Our VPS service is quick and easy to set up and we have created a range of plans to suit all needs. Our most popular is our $20 per month plan, which includes 4 core processor, 3TB transfer, 2GB memory and a 100GB disk – perfect for all your VPS needs. Also, if none of our pre-made plans match your needs, then our customer service support is available to tailor a package to your bespoke requirements. All plans provide our VPS three-way replication service, E5 processor performance, 40Gbit connection, high-quality server and switch hardware, a huge range of VPS templates, and worldwide DDOS protection. As you may have read in our last blog post, our Hong Kong data centre is now up and running. Providing all of our VPS services and high-powered performance, our new Hong Kong site is our first in Asia. Our customers asked and we answered with an exceptional VPS offer and cloud hosting. This is just our first step, however. We are hoping to expand our Asia market as we have with our other worldwide markets. Hong Kong is a great starting place for our Asian foothold, as it has one of the largest internet exchanges, with over 50 data centres. We know that many organisations need a server in Asia, so we hope that you will enjoy our new Asian offering. We’re also looking into providing AliPay as a payment option for our Asian VPSs and a second Asia data centre location, possibly in Singapore (watch this space!). For all your virtual personal server needs, look no further. If you’re unsure about anything, or just want to talk through your options, then please do give us a call. Our friendly staff are here to help and can walk you through our plans and locations and even help you with our hosting platform. Should none of the standard plans match your requirements, our team are happy to create a bespoke VPS hosting plan that meets your needs. We are always happy to help and answer any and all of your questions (right down to the technical specifications).